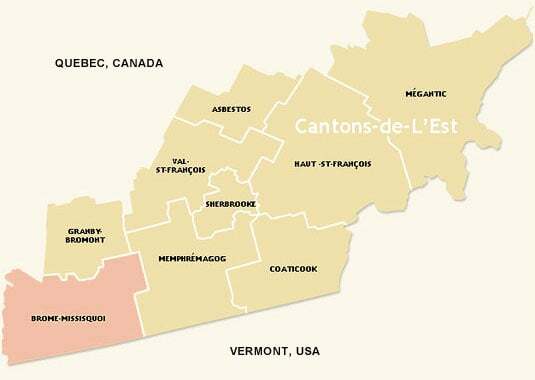 This past weekend, E and I took off on a little roadtrip, drove about 3 hours South of Quebec City and ended up in the Cantons de l’Est (the Eastern Townships). This area is well known for its scenery and mountains, but maybe even more so for its agrotourism activities. Imagine what you would do in Provence: visit wineries, taste delicious fruit and honey-based products, walk through lavender fields… Turns out you can do all that right here in Quebec. 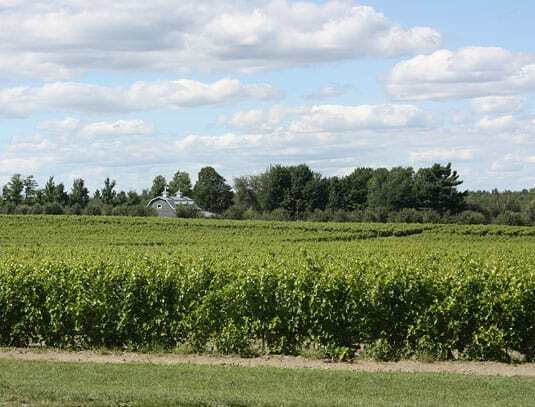 This large region is impossible to cover in a long weekend so we chose to plan our stay around the Wine Route, in the Brome-Missisquoi region, right along the Vermont border. 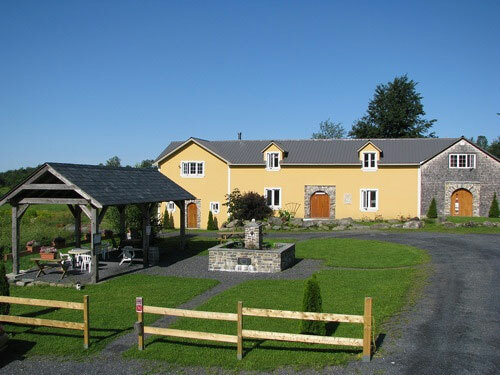 Yes, there are wineries in Quebec too! It’s a rather young industry (the oldest wineries are 35 to 40 years old) but its producers are making a wide variety of white, rosé, reds and, of course, ice wines and ciders. I’ve made great discoveries, ate well, drank just enough and came back very relaxed. I’ll guide you through the highlights of my visit: the best wineries and cideries as well as the tastiest restaurants and shops (in my next post). I remember that wines produced in Quebec had a bad reputation when I was younger. Our winters are harsh and our summers are short: the grapes grown in Quebec don’t benefit from the same sun intensity and heat than its Provence, Tuscany or California cousins, perhaps preventing them to develop the same depth of flavor. Our climate didn’t stop producers from developing and growing vine varieties that are more robust, can withstand cold winters – and still produce tasty grapes. Like wines from any other region, Quebec’s wines have a personality of their own and once you stop wanting them to be something else, you start appreciating them. The white and rosé wines are bright, crisp and easy to drink. As close cousins to ice wines, some have a bit of sweetness to them and are delicious enjoyed as a replacement to Riesling. The reds are light, delicate with a bit of acidity: if you like France’s Beaujolais wines, chances are you’d like Quebec’s. Some reds reminded me of light Merlot. 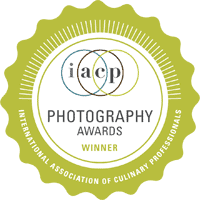 What distinguishes this region from all other wine-producing regions I’ve visited in the past is the wide variety of aperitifs, ice wines, ice ciders and fortified wines produced – with much talent, if I might add. True gems can be found in the sweet wines category: even after several tastings, we didn’t grow bored and we found that each producer had its own methods, blends or innovations that brought something new to discover. This small winery was the last place we visited but truly the highlight of our weekend. Louise Dupuis, one of the owners, was keeping the tasting room herself and spoke so passionately about her work (she also works the field) that we wanted to stay and chat with her for the whole afternoon. Clot Saragnat is a small producer that refuses to use pesticide and chemicals and works only with horses and electrical vehicles, which makes them one of the most eco-friendly winery in the area. 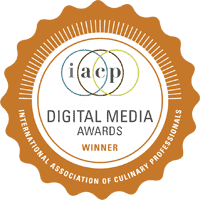 Their ice wines and ciders have won dozens of prizes and medals over the year. 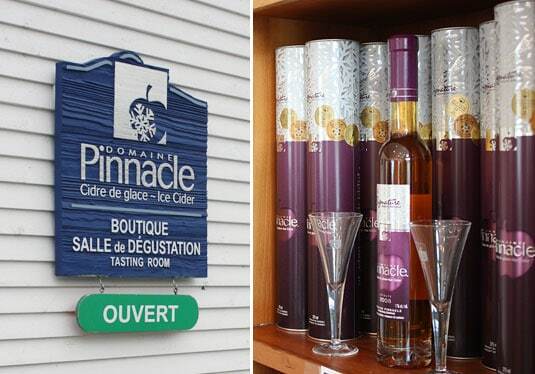 Recently, their Original Ice Cider was declared the best in Quebec by a well-known sommelier, François Chartier. This cider is made by the labor-intensive “cold-press extraction” method that involves picking apples only after they have gone through three consecutive nights of at least -10°C (14°F). The apples must be pressed immediately while they’re still frozen, which makes it mandatory to pick only small batches of apples at the same time (they must not thaw while waiting to be pressed). This feezing “cooks” the apple and provides a deep caramelized and complex taste that is unique to Clos Saragnat. Another unique product at Clos Saragnat is their vin de paille (Straw Wine). Borrowed from the French Jura region, the method consists of picking ripe grape and letting them dry to concentrate the juice. The grapes are then pressed and we were told that only one drop can be extracted from each grape. The name comes from the traditional way of drying the grapes by laying them out in a single layer on straw mats in the sun. Clot Saragnat’s vin de paille has a sweet taste but is lighter than an ice wine – you could compare it to a Sauterne. We couldn’t help but buy two bottles of this very unique product that is produced in such small quantities that it’s only sold at the winery. This endearing winery is a must in the region. They offer tastings everyday from May to October and have a beautiful picnic area where you can enjoy their wines with cheese or your own lunch. 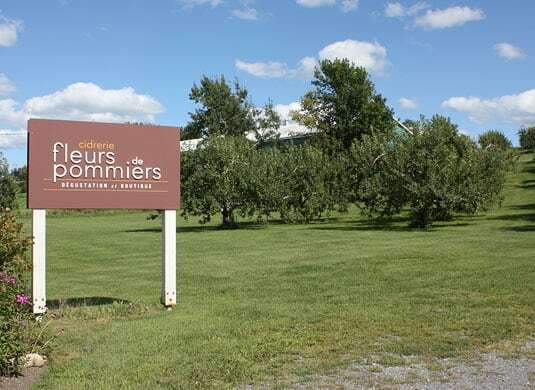 This nice little cidery has a small shop selling local honey, jams, vinegars and other terroir products. It was recently sold to new owners who pledge to work on their already great line of products to make them even better. I found their Clé des champs, a cider flavored with berries, to be particularly tasty. 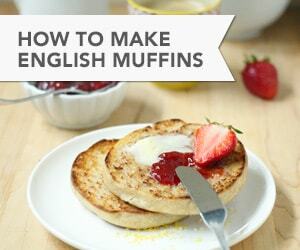 I will serve it as an aperitif or poured over a sorbet and fresh raspberries. 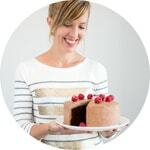 http://www.fleursdepommiers.ca/ (In French only; their new website is not online yet). This domain is arguably the most well-known cidery in the area, with points of sale in more than 40 countries. It is also one of the biggest producers and its ciders have garnered outstanding ratings and many prestigious medals over the years. 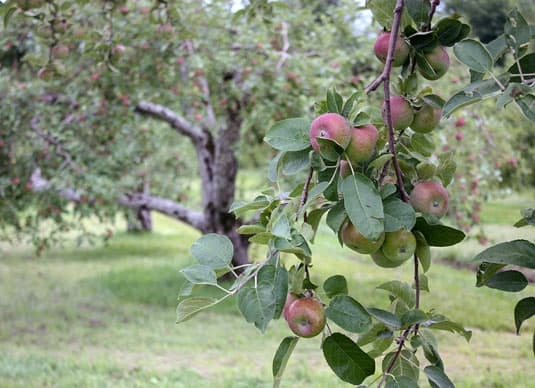 The orchard is located on the Southern slopes of the Pinnacle mountain and it’s guarded by a historic farmhouse that has once been a safe haven for slaves seeking freedom, and later, as a meeting place for bootleggers during the Prohibition era. Today, an interpretation center has been build beside the tasting room and it’s a very interesting visit for anyone who wants to learn more about how ice cider is made (and see videos of our harsh winters!). Their line of ice ciders is outstanding (I especially like their sparkling ice cider), but we fell in love with the Réserve 1859 Domaine Pinnacle product, a blend of ice cider and apple brandy, the latter of which makes the amber liquor a bit stronger (16% alc./vol.) and less sweet than traditional cider. A perfect digestif. 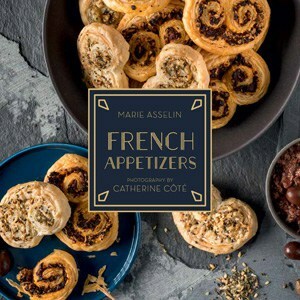 This year, they launched a line of maple-flavored liquors, the best of which is the Coureur des Bois Maple Apéritif Cider, a deep amber liquor that makes you believe you’re drinking pure maple syrup. I have to restrain myself from drinking it for breakfast… although serving it with crêpes would certainly be outstanding. L’Orpailleur is to wine what Domaine Pinnacle is to cider. It is one of the oldest and most recognized wineries in the area, as well as being one of the biggest producers. They offer a wide range of wines: a cuvée spéciale white fermented in oak, a spakling wine made using the traditional champagne method, ice and fortified wines – and of course, the more traditional young white, rosé and red wines. They also make gourmet products such as mustards and aged vinegars (great gift ideas!). We liked the rosé that has a distinct berry taste and is very refreshing, but a nice surprise was the “gray wine” (L’Orpailleur Cuvée speciale), a semi-sweet wine that is very round, flowery and complex, not unlike a Muscat. 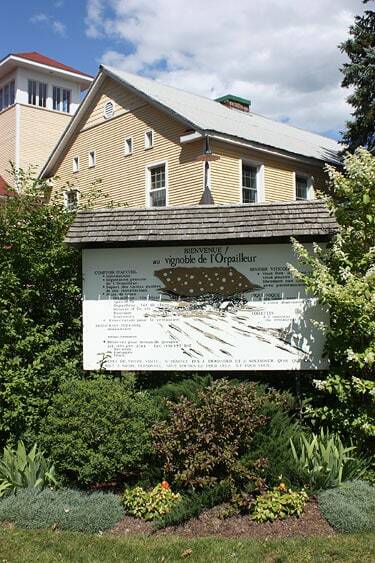 The winery has an interpretation center on site as well as a restaurant, Le Tire-Bouchon. They also offer guided tours and the quintessential (and free) tastings. 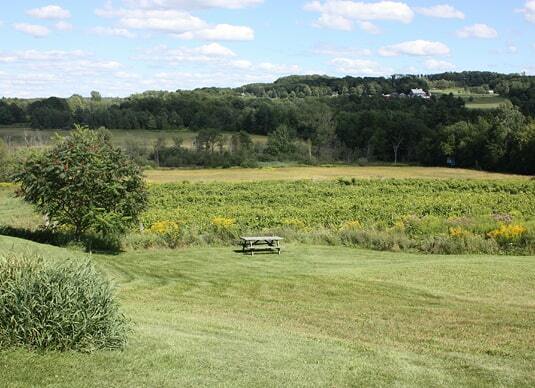 Les Trois Clochers sits on top of a valley, making it the winery with the most beautiful view in the area. 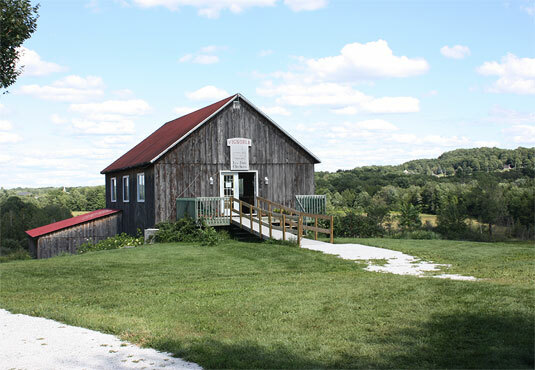 The tasting room is located in an old barn typical of rural Quebec. Thanks to the knowledgeable host, it is where we had the most interesting and informative conversation about what Quebec wines really are, what they’re not and how they should be appreciated. Their red wine was our favorite of all the wineries we visited, it is still light but rounder, less acidic and has more depth than many others we tasted. You can bring your own picnic to enjoy the view and bring back souvenirs from their gift shop. I stumbled across this – and what a great posting! My husband and I are dreaming of one day moving into the area from Alberta. A long way to go, and much to learn before we get there – so thanks for this great information! Happy to help Jessica! If you need more tips or have any questions about Quebec, don’t hesitate to send me a line. Best of luck with this great life project! Thanks so much for posting this! 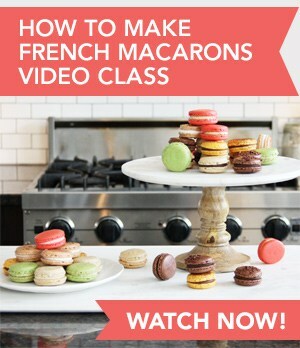 I’m planning a Quebec wine-tasting honeymoon (from Chicago), and this was really helpful! I’m really happy it helped you plan your honeymoon! 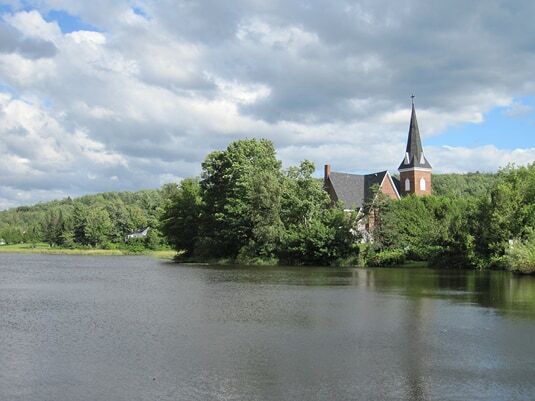 The Eastern Townships is such a beautiful and romantic area, I hope you have a really good time.